We took part in Drone & Tech Expo 2017 in Dublin, Ireland. Were you there? If not, read what happened! 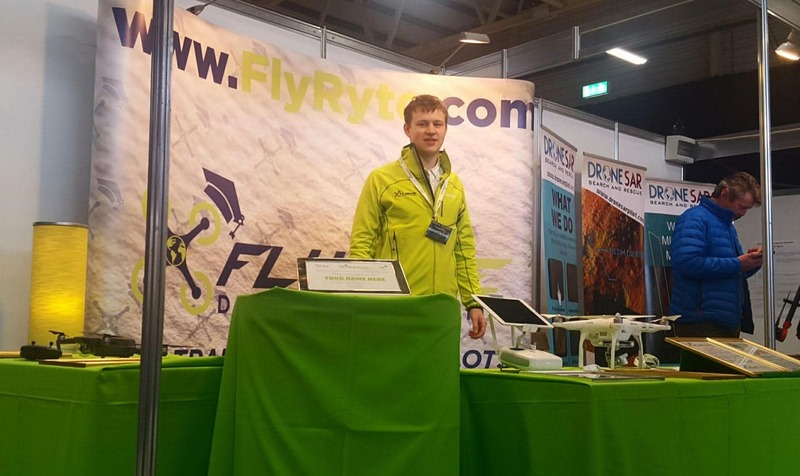 The Drone & Tech Expo 2017, the second edition of this annual event, took place from the 10th – 12th of March in the RDS, Dublin. We were one of the organizations to take part, having a presence with our own stand and with our CEO Steven Flynn as one of many great and informative speakers throughout the 3-day event. 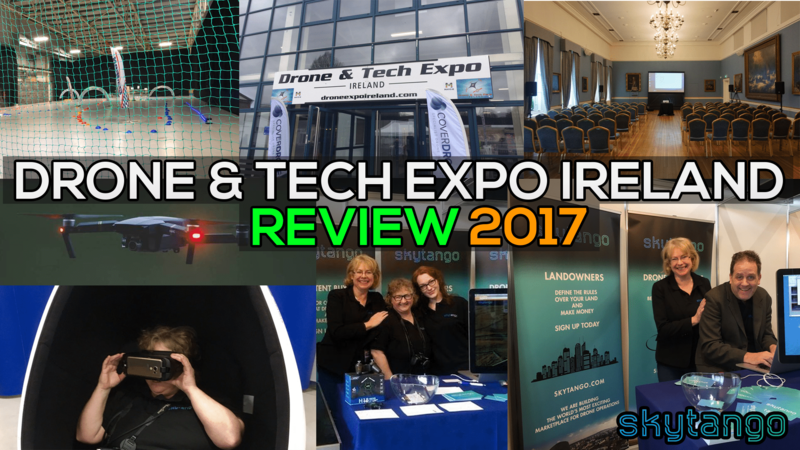 After the success of Drone Expo Ireland April 2016, event organizer Ian Kiely decided to hold the 2017 edition a month earlier this year, moving it to middle March. A bigger hall meant more room for exhibitors, speakers, and more action, with Leinster FPV Club making an appearance with their own drone racing track & competition (more on that later!). The event was open to the general public for a €10 admission fee with Friday having more emphasis on drone professionals, and Saturday/Sunday weighted more towards drone novices and the general public. It was the second annual drone event in Ireland that catered for the general public as well as drone industry professionals. Great day at the #droneexpoireland. Pat McHale (Mayo.ie) – What can County Mayo offer to the Drone industry? This year we were one of the many exhibitors at the event. We woke up bright and early and got our displays up and stand ready for action for 9am on Day 1. Our CEO Steven Flynn, COO Susan Talbot and Director of Marketing Marco Mancosu were on hand to share their expertise in the field of drones and to spread the word of the benefits that Skytango brings to drone operators, content buyers and landowners alike. Being an exhibitor was a great way to interact with and learn more about the extended drone community. Steve spoke to the audience in the speaker’s hall about compliance in the drone industry and how Skytango can help bring together the three stakeholders involved in a drone flight: drone operators, content buyers and landowners. We streamed the video live on both Facebook and Periscope, reaching over 100 live viewers in the process. Watch the full speech here. We also had a competition for a H18 Mini Drone. Congratulations to the winner, Philip Warton! There were many highlights of the event during the 3 days. I was super excited to hear Oisin McGrath from Drone SAR speak about how UAVs are becoming a vital tool in helping search and rescue teams in areas of close contact such as cliffs and valleys. Drones can maneuver and go beyond the limits of helicopters, making the process much more accessible and cost effective. 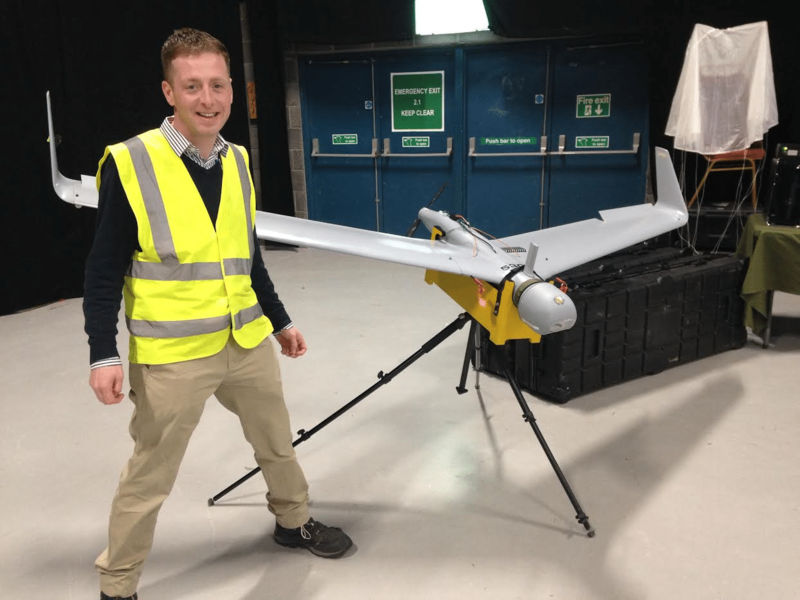 Gearoid O’Briain of FlyRyte Drone Academy gave the public an insight into the drone training process and the reasons why good drone training can lead the way to building a career in many different sectors using your UAV. Clear and concise information around FAQs that drone operators have in relation to regulations in Ireland was also a nice touch. Julie Garland of UAAI (Unmanned Aircraft Association of Ireland) spoke about how the organisation is re-emerging to help UAV operators with regulations and licencing, as the industry is becoming increasingly fast paced with technology advancements helping drones expand into a large array of new industries. UAAI is also the official voice of Irish drone operators when dealing with IAA and regulation changes and Julie reminded the audience of the UAAI’s AGM (Annual General Meeting) taking place on April 11, 2017. It’s open to the public. Drone Port NI gave a really interesting speech on how they turned a former airport in Northern Ireland into a unique ecosystem to facilitate research, innovation and entrepreneurship in the aerospace and UAV market. I had the pleasure of meeting Steve Timewell of Drone User Mag, a new free monthly magazine focusing on everything drone related! Steve is a great traveler and lived funny experiences with Custom agents dealing with his drones. Drone User Mag has been producing really nice content since October 2016. Check its April issue and see for yourself (and don’t miss the great article on Skytango on page 30). There were quite a few aerial services companies exhibiting, including Aerial Media Ltd., Altitude, Flyit and Epic Aerial Filming. 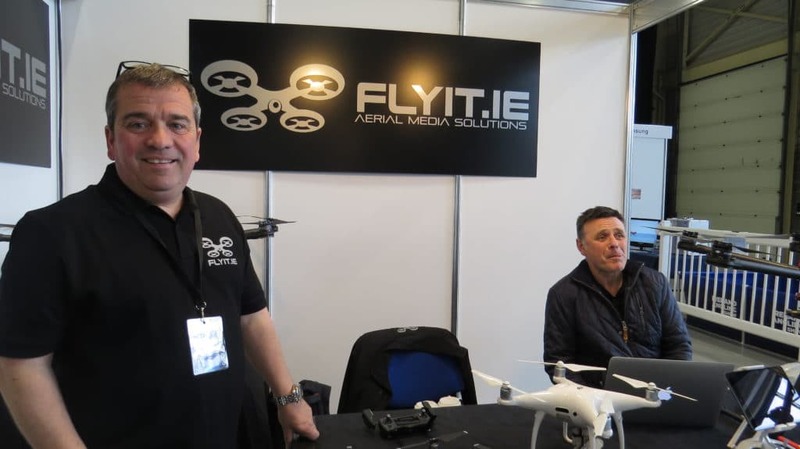 Flyit.ie were on hand showing the great work they do for their clients in aerial photography and videography. Epic Aerial Filming, one of Skytango’s pioneers, also had a stand showcasing the great work they do for their clients, like Paddy Power‘s latest commercial! I also met with Declan Mullen from Aerial Media Ltd. – another of Skytango‘s members who provide professional aerial services for film companies and advertising agencies, and with the really nice people from iFly Technology, another one of Ireland’s leading drone training schools who were in attendance at the event. 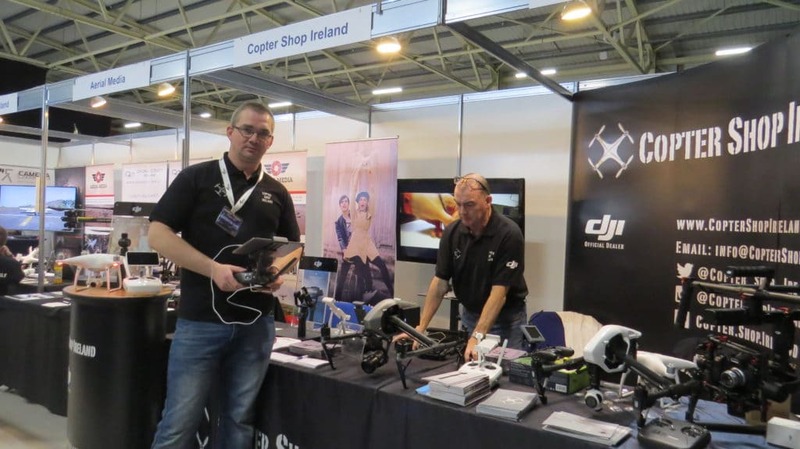 Damien Doyle and the staff from Copter Shop Ireland were showing off their latest offerings in drones and UAV accessories. This leading retailer has certainly grown with the industry here in Ireland. 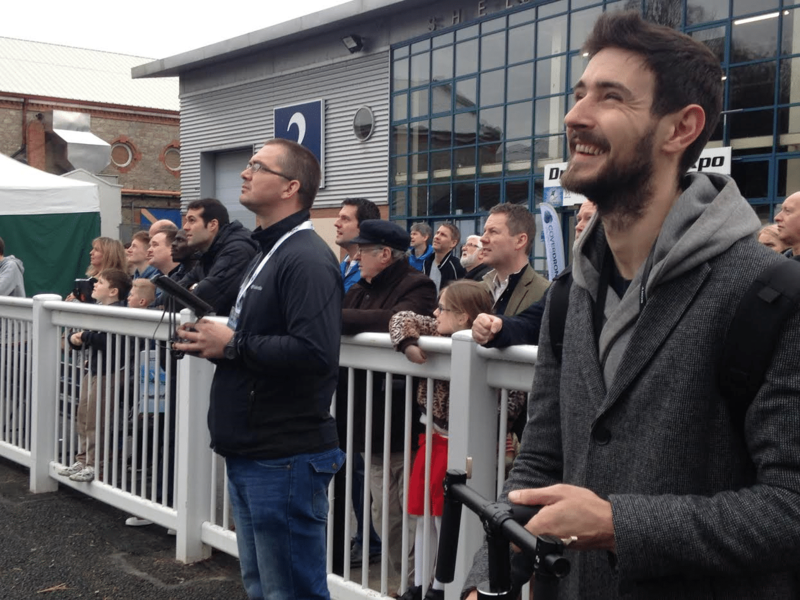 They even took the time to demonstrate the Mavic Pro to onlookers in a crowd gathered outside of the exhibition hall. Camera Centre took time out to enjoy some tasty muffins when I stopped by for a chat! They were showing off their great range of cameras especially for aerial use. Talking about Yuneec, their stand was one of the best stands in the show, with several of the latest Yuneec models being showcased, including the Breeze, Typhoon H, Yuneec H520 (awarded Best in Show at CES 2017 – really a great drone for pros), Typhoon Q500 and the Tornado H920. I had lots of informative chats with Simon of Yuneec‘s team, as their stand was right in front of ours. I enjoyed chatting with Gearoid O’Briain, CEO of FlyRyte Drone Academy, on some nuances in the Irish drone regulations. Great cookies at their stand! 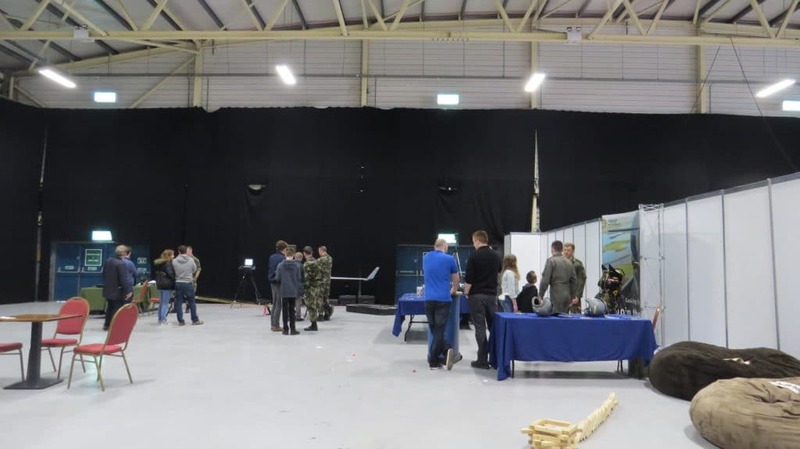 The Irish Defence Forces were at the expo to promote their activities and recruitment and had a super fun virtual reality demonstration for visitors to try. They also showed off their large UAVs, used for a variety of different exercises. Samsung Ireland and DID Electrical were also on hand with their own virtual reality technology demonstration. Our very own Una Hennessy gave it a go and she wasn’t disappointed! 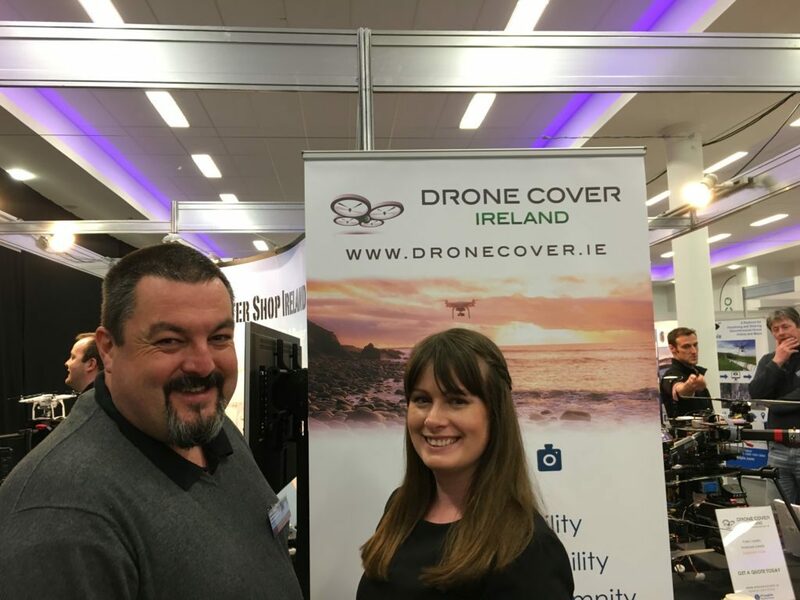 We were delighted to see Skytango‘s insurance partner Drone Cover Ireland at the expo, where Derek & Aisling were on hand to give advice on insuring your drone and how it works. Drone insurance is a must for UAV professionals and highly recommended for the hobbyist too as it gives you peace of mind in the process. Don’t forget you can get a 10% discount off your premium drone insurance with Drone Cover Ireland when you sign up with Skytango! Other highlights included the Irish Civil Defence who do great work throughout the country and gave us an insight into how drones are proving a great asset for their activities. Apart from their Search & Rescue operations, they talked to me about their latest projects on surveying water flows for environmental research and detecting illegal dumping areas in the countryside with drones. As UAVs become increasingly popular and more cost effective, it’s only a matter of time before people will buy them and use them in ways the original inventors never imagined! Drone racing has taken off like wildfire and the Leinster FPV Club had their own circuit set up. The sound of FPV mini drones zooming around resonated throughout the expo hall. Indeed, a competition was well and truly underway by Saturday afternoon with more than a dozen competitors with video goggles showing first person view of the drone camera while in motion. Take a look at the FPV racing drones in action! On the final day, we had our winner. Rob Saxton from Southampton in England. The Drone & Tech Expo 2017 was a huge success with thousands of visitors over 3 days. It’s clear the event will grow from strength to strength year on year as the drone industry itself grows and UAVs become the norm in public and working life. “So many people came through the door with new ideas and enthusiasm to expand the industry. Many large organisations are paying close attention to what drones have to offer to their business with an emphasis on hiring professionals with good training and insurance”. Ian told Skytango that over 2,500 people passed through the doors of the RDS during the event which was an increase of 28% on last year. He also said there will be an announcement on a new date soon. Ian gave us an insight into what you might expect at next year’s event. His team are planning a few improvements including more emphasis on the B2B day, one day stand bookings, changes in the layout, making FPV racing more accessible with a better viewing gallery and more practical workshops, e.g; building your own quadcopter. Ian has invited anyone who was at the event for their input and feedback so don’t be afraid to contact him on droneexpoireland@gmail.com. 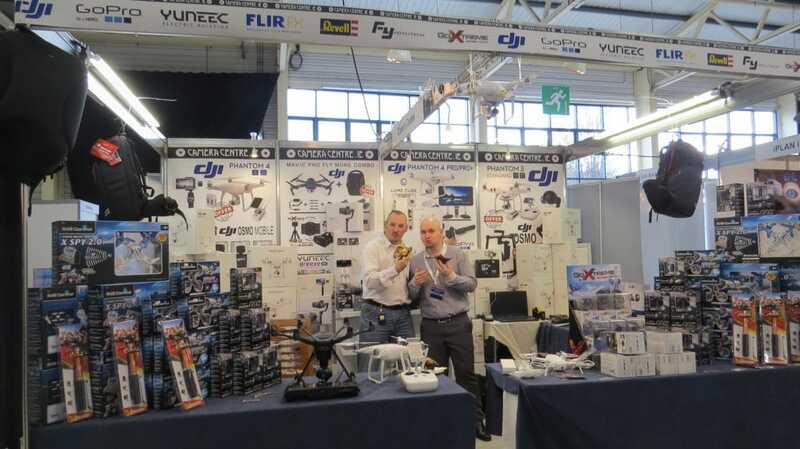 We at Skytango would like to congratulate Ian and his team on a thoroughly enjoyable and interesting drone expo and we look forward to being involved again next year!